Peyton Apple, 5, takes a cool dip in the ocean off the 44th Street beach as she prepares for the arrival of Fourth of July. 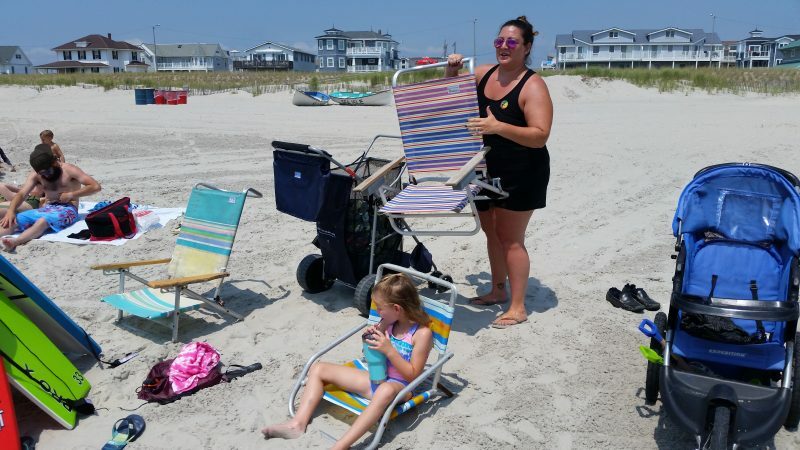 Season Apple was busy unpacking everything her family would need for a day at the beach in Sea Isle City – chairs, an umbrella, sand shovels, boogie boards, drinks and more. Meanwhile, her 5-year-old daughter, Peyton, quietly sat in a chair, sipping her drink, while her mom did all the work. “As you can see, she’s not going to help me,” Season Apple said, laughing. Peyton had something else in mind. “I’m going in the water,” the pint-sized blonde declared. She’ll have plenty of company. 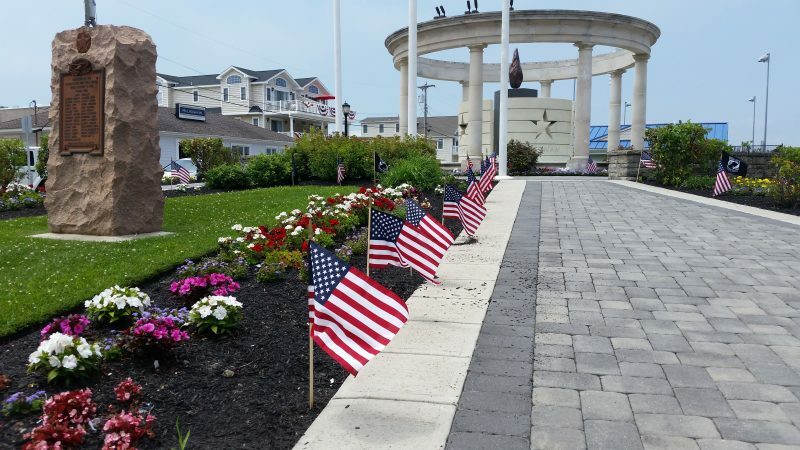 Sea Isle is gearing up for an estimated 60,000 to 75,000 visitors to pack the island for the Fourth of July celebration on Wednesday. “It’s kind of like our Super Bowl. 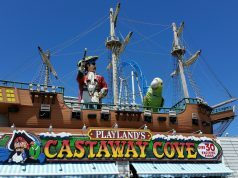 Overall, we have a good team and we’re ready for it,” City Business Administrator George Savastano explained of the preparations for the big holiday. Visitors are packing the beaches for the holiday and also to escape the scorching heat. 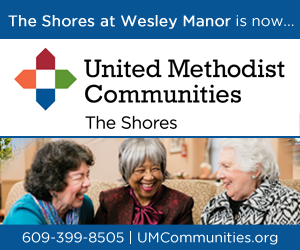 The holiday celebration and sunny weather are proving to be a perfect combination to draw huge crowds to the shore. “The beaches are great,” Savastano said. 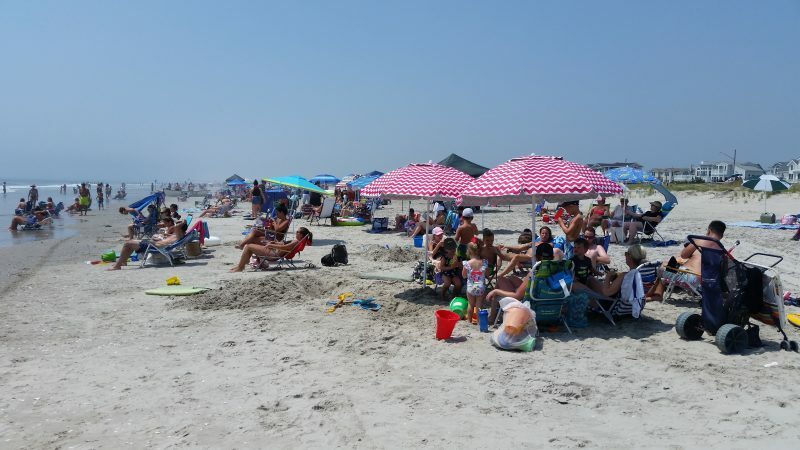 The occasional sea breeze and a dip in the cool ocean brought some relief Tuesday from the sweltering heat that has gripped South Jersey during the past week. 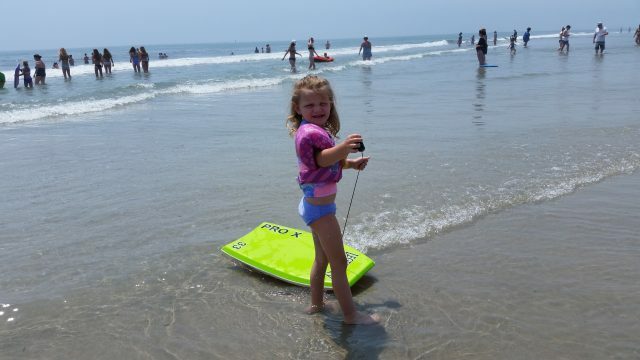 Wearing a child’s Paw Patrol life vest and carrying a bright green boogie board, Peyton Apple waded out to ankle-deep water to enjoy the surf off the 44th Street beach. Along with her mother, Peyton was joined at the beach by her brothers, Brennan, 10, and Griffin, 8, and her grandmother, Kathy Apple. Season Apple, of Glenolden, Pa., unloads the family’s beach gear, while her daughter, Peyton, takes it easy. 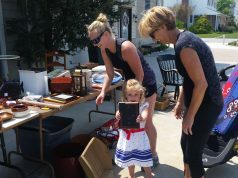 Season Apple, of Glenolden, Pa., said the family has a full agenda for the next two days, culminating with watching the fireworks on Fourth of July night. Sea Isle has scheduled a series of events for Independence Day, capping off with the fireworks display at 9 p.m. One of the centerpieces of the city’s holiday celebration is the Junior Olympics, a family-friendly tradition that attracts hundreds of children to the Dealy Field athletic complex for fun and games starting at 9:30 a.m.
Lifeguards Tim Rafter and Katelin Cordero enjoy the view of the ocean from their stand at the 32nd Street Beach. So far, 2018 is shaping up as a stellar summer for Sea Isle. Beach tag sales are brisk, keeping pace with last year’s levels, city officials said. The city’s Welcome Center, a popular place for visitors to buy beach tags and to get information about upcoming special events, has been “bustling” this summer, Public Information Officer Katherine Custer noted. Other sectors of the local economy are also buzzing. Custer said she has been told by realtors that rental properties and home sales have been robust this summer. 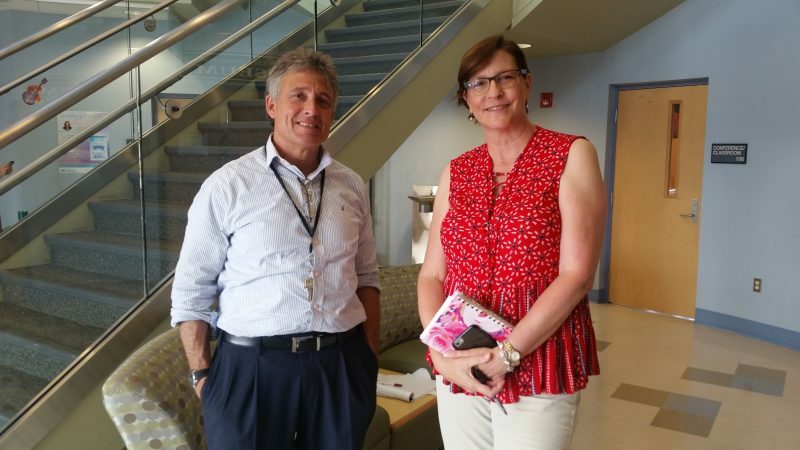 City Business Administrator George Savastano and Public Information Officer Katherine Custer are predicting big crowds for the holiday. 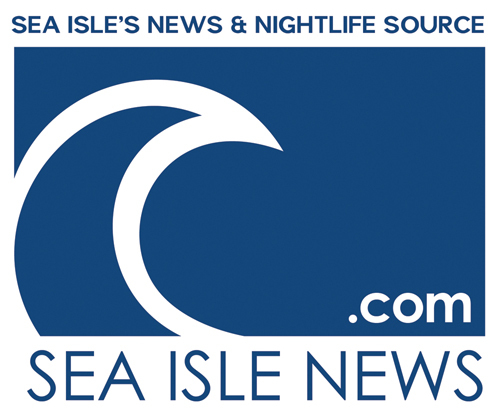 The Sea Isle City Chamber of Commerce and Revitalization held its annual Restaurant Week celebration in June and is discussing the possibility of adding another Restaurant Week in the fall. This year’s calendar appears to be giving Sea Isle another boost. With the Fourth of July falling on a Wednesday, visitors celebrated the holiday this past weekend and are expected to jam the town again for this upcoming weekend. “We’re lucky this year. We have two Fourth of July weekends,” Savastano said. Miniature American flags lining the walkway at Veterans Park create a patriotic scene for the Fourth of July.